Let’s decompose and rearrange shapes to find their areas. Is the area of Figure A greater than, less than, or equal to the area of the shaded region in Figure B? Be prepared to explain your reasoning. 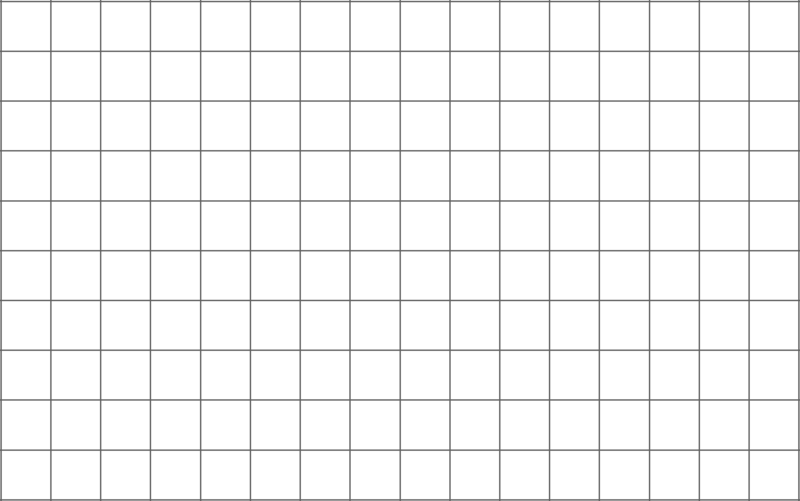 Each grid square is 1 square unit. Find the area, in square units, of each shaded region without counting every square. Be prepared to explain your reasoning. Rearrange the triangles from Figure C so they fit inside Figure D. Draw and color a diagram of your work on the grid. Find the area of the shaded region(s) of each figure. Explain or show your reasoning. Decompose it into shapes whose areas you know how to calculate; find the area of each of those shapes, and then add the areas. Decompose it and rearrange the pieces into shapes whose areas you know how to calculate; find the area of each of those shapes, and then add the areas. Consider it as a shape with a missing piece; calculate the area of the shape and the missing piece, and then subtract the area of the piece from the area of the shape. 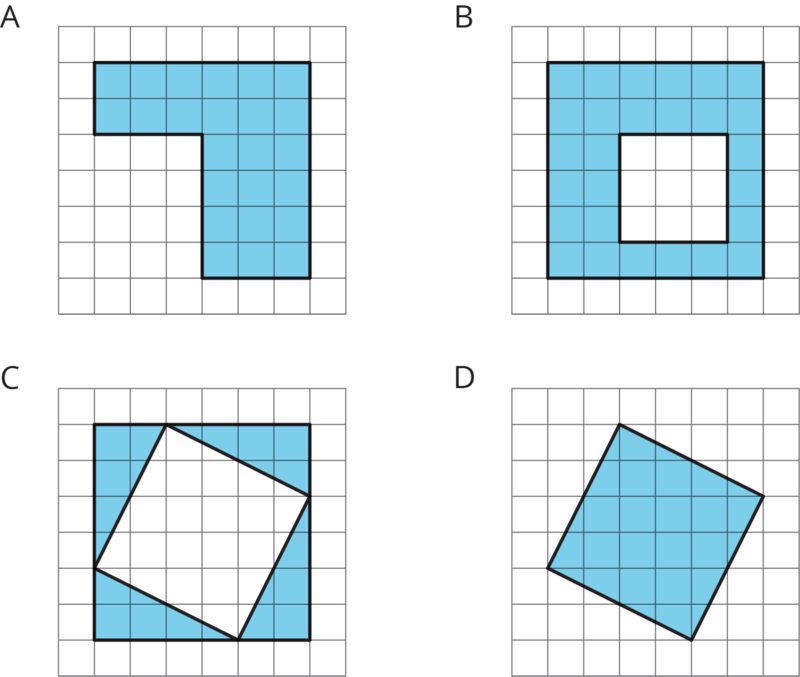 The area of a figure is always measured in square units. When both side lengths of a rectangle are given in centimeters, then the area is given in square centimeters. 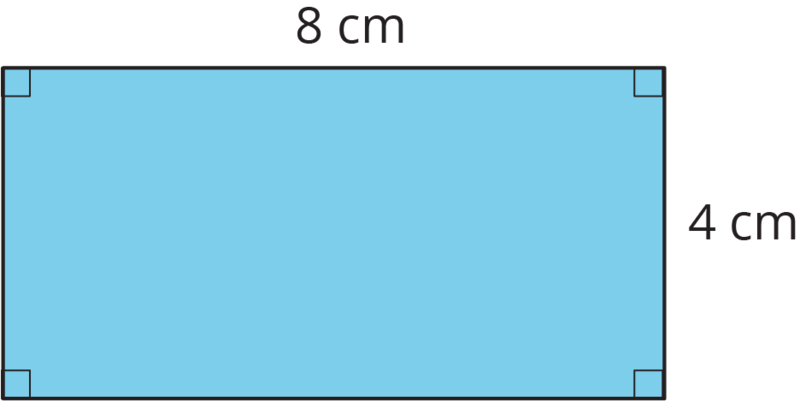 The area of this rectangle is 32 square centimeters.